In this episode, we answer some reader emails, attempting to make a dent in the massive pile we have laying about. 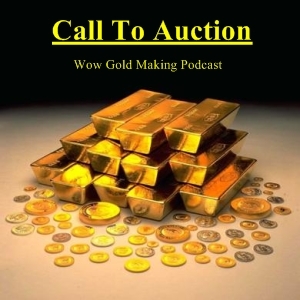 If you have comments or questions, email us at calltoauction@gmail.com! Phenomenal podcast guys, best CTA yet. I think the Q&A format should be the way to go moving forward. Tackling listener questions allows you guys to talk about multiple professions and gold making techniques, instead of your past episodes where you stuck with basically one or two professions per show. You guys basically summarized the last 10 podcasts with one episode, with the exception of talking about ways to make money with tailoring. I'm keeping this one saved on my desktop. Great show!